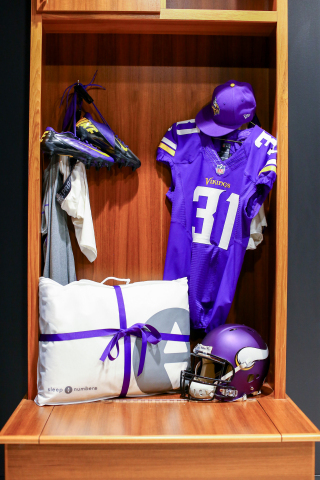 As the exclusive “Official Sleep + Wellness Partner,” Sleep Number will provide individualized sleep-and-performance plans for Vikings players, coaches and staff. In addition, the Sleep Number brand will be integrated across a variety of team platforms, including the Vikings app, loyalty program, U.S. Bank Stadium/Vikings game day signage, Vikings game day broadcast media and community events. In separate agreements, Sleep Number has also partnered with current Vikings C Pat Elflein, CB Terence Newman and S Harrison Smith for the 2017 season to identify opportunities for improved sleep and performance. The three players are benefitting from the Sleep Number® smart bed’s effortless, adjustable firmness and gaining insights from SleepIQ® technology. Thirty years ago, Sleep Number transformed the mattress industry with the idea that ‘one size does not fit all’ when it comes to sleep. Today, the company is the leader in sleep innovation and ranked “Highest in Customer Satisfaction with Mattresses” by J.D. Power in 2015 and 2016. As the pioneer in biometric sleep tracking and adjustability, Sleep Number is proving the connection between quality sleep and health and wellbeing. Dedicated to individualizing sleep experiences, the company’s 4,000 employees are improving lives with innovative sleep solutions. To find better quality sleep visit one of the 550 Sleep Number® stores located in 49 states or SleepNumber.com. For additional information, visit our newsroom and investor relations site.